If you’ve been counting the days since your last triumphant dump, you know how much stress can build up. 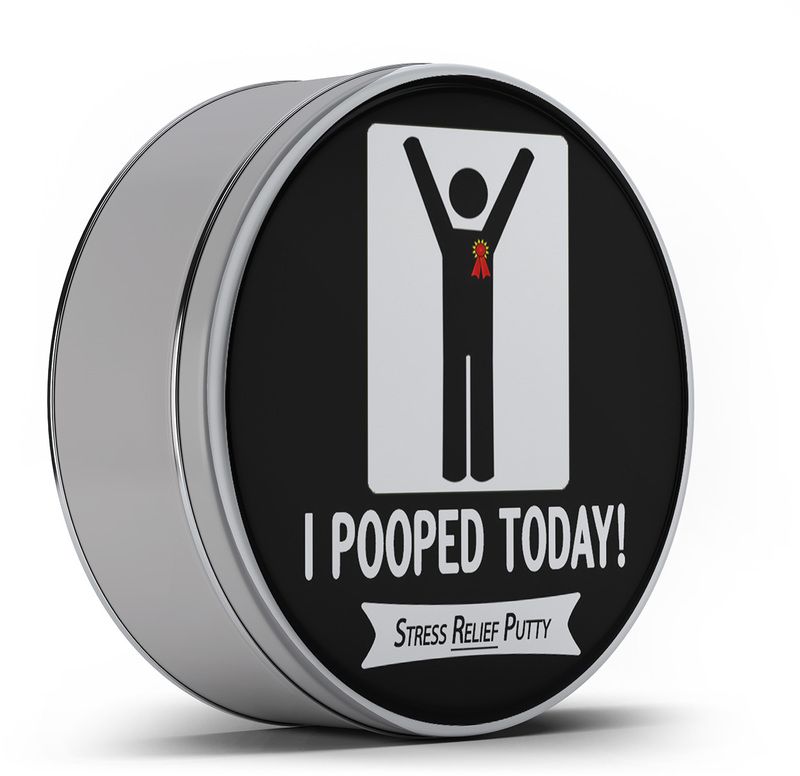 When the doo-doo dam breaks, you can flush away the tension you’ve been holding onto too with I Pooped Today Stress Relief Putty. Your colon and your soul will feel so relaxed! 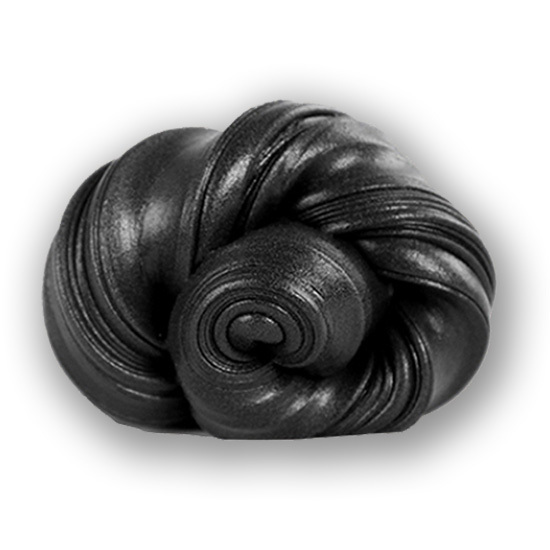 If you haven’t had the pleasure of releasing that stubborn kraken yet, Pooped Today Putty is awesome for you too! Think of it as your bowels’ personal good luck charm! 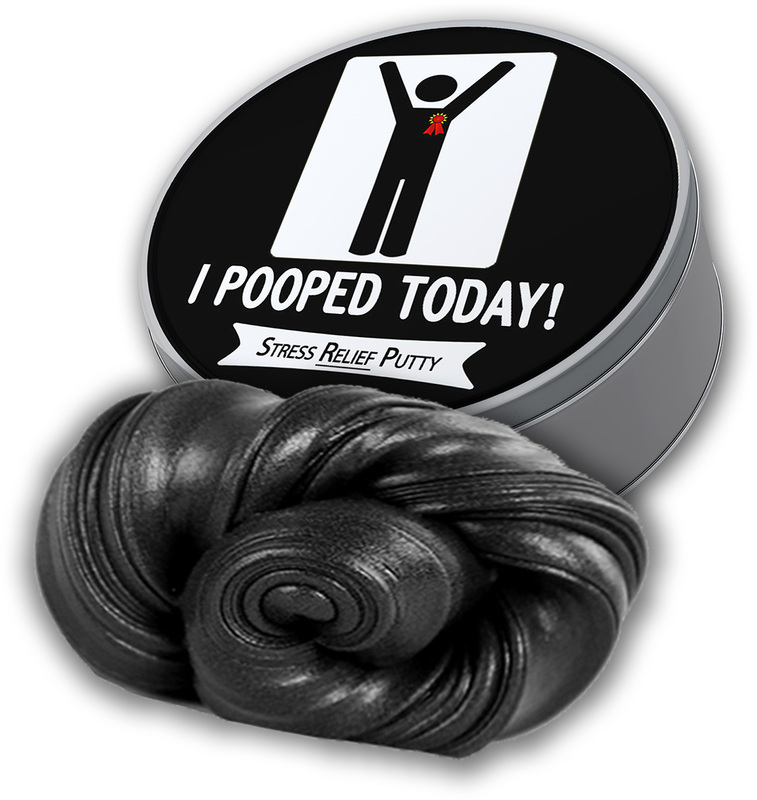 As you squish and squeeze the black therapy putty through your hands, visualize a bathroom victory. 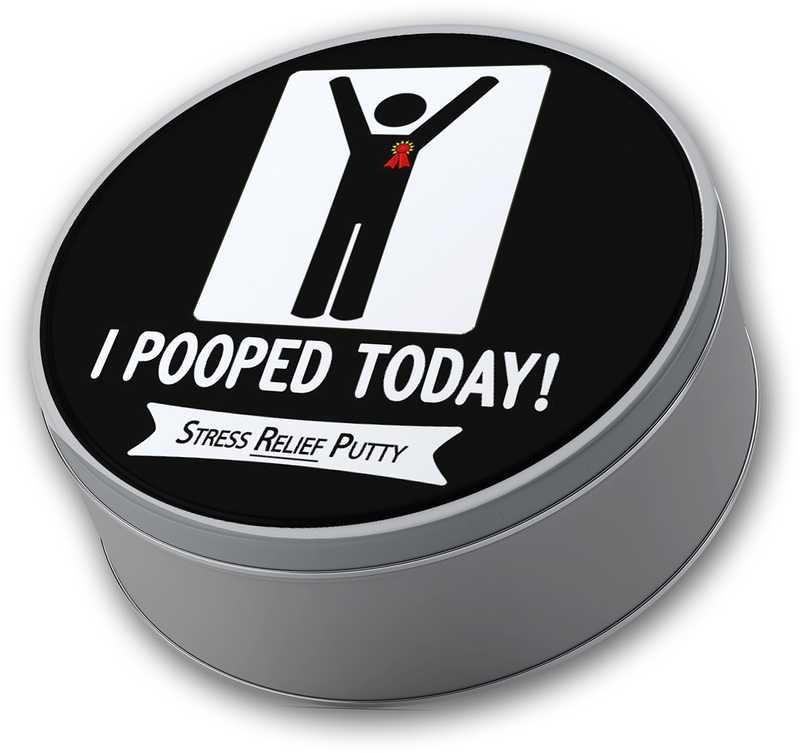 This hilarious stress putty for adults is will help bring some relief while you wait for the main event! I Pooped Today Stress Relief Putty is a hilarious poop gift for adults who could use some extra luck in the dookie department. It’s compact enough to fit in a desk, purse, or bathroom cabinet, so they can grab and go when they have to go. It’s a fun idea for care packages, stocking stuffers, gift baskets, birthday presents, Secret Santa gifts, White Elephant parties, or office gift exchanges.